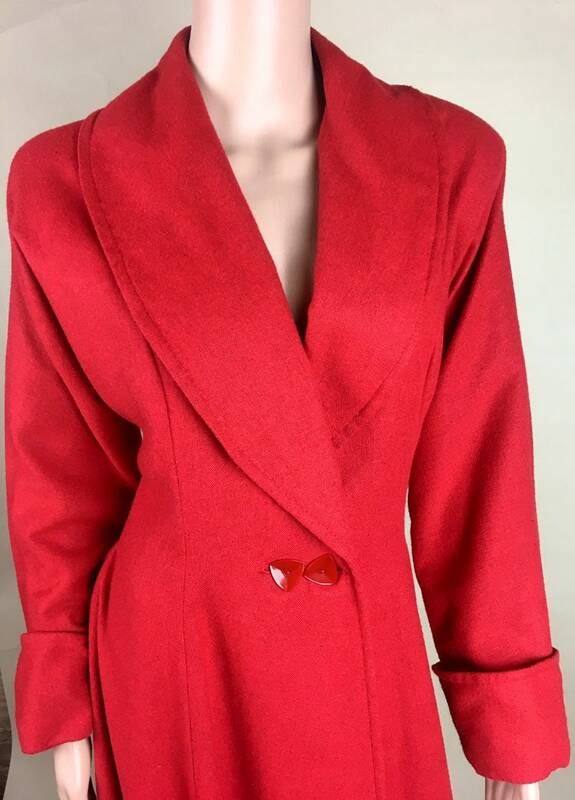 Beautiful condition lightweight wool coat with nylon-acetate lining. 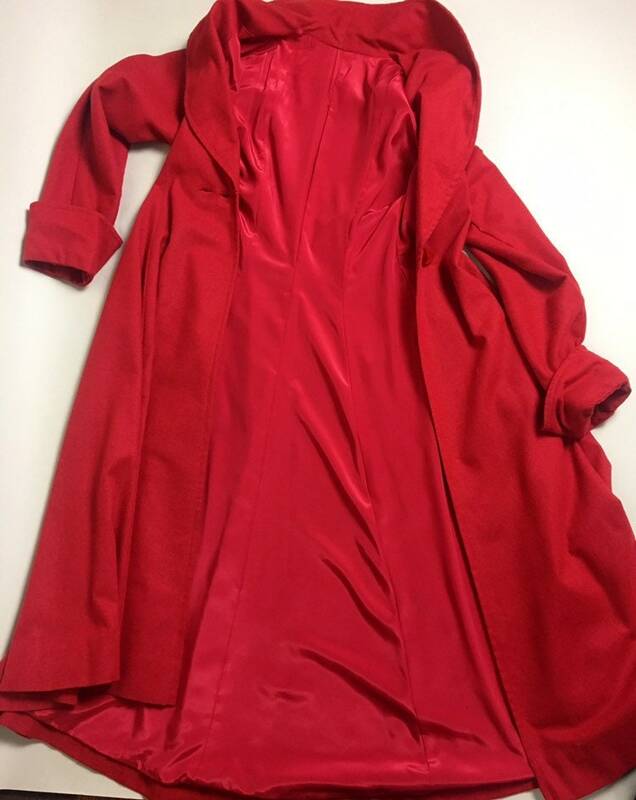 The lining looks silk but I think it is a synthetic blend and is in excellent condition. 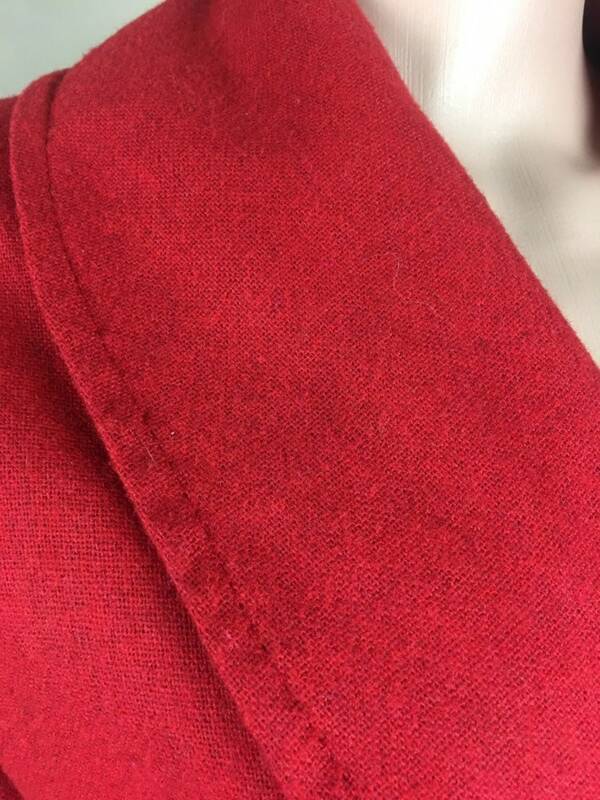 The color is a bright cherry red with little hints of black woven in the threads. 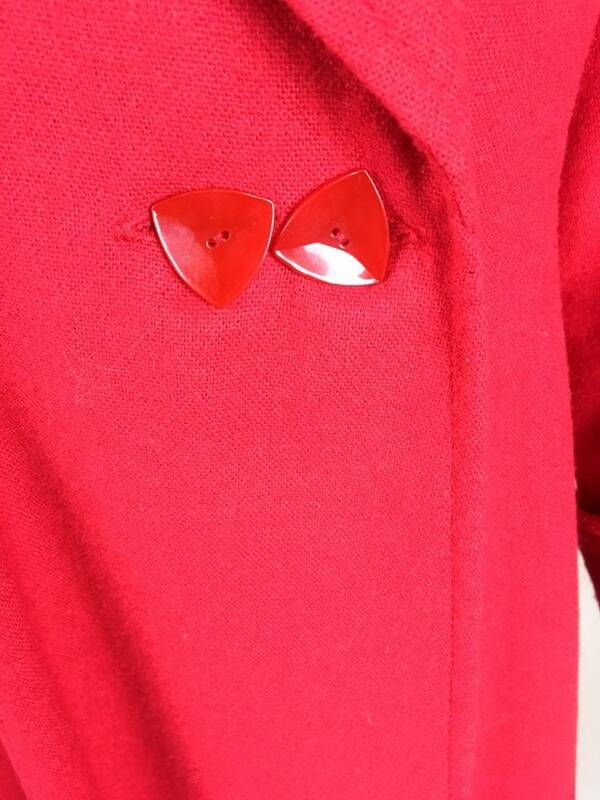 The coat has a wide shawl collar and has two red lucite buttons. 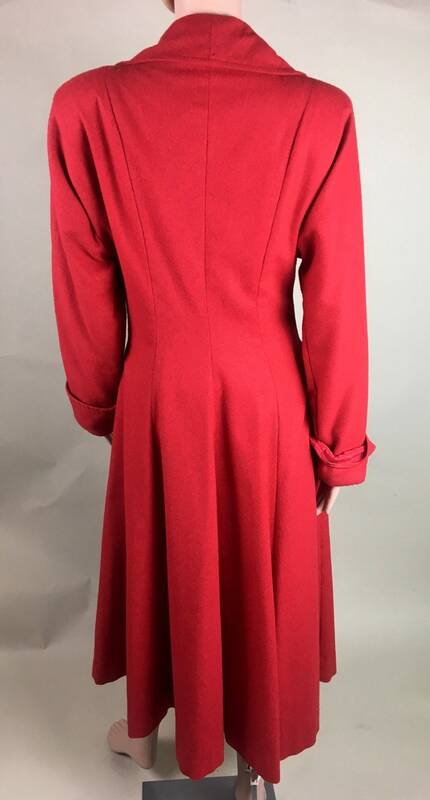 The coat has two bellow pockets. 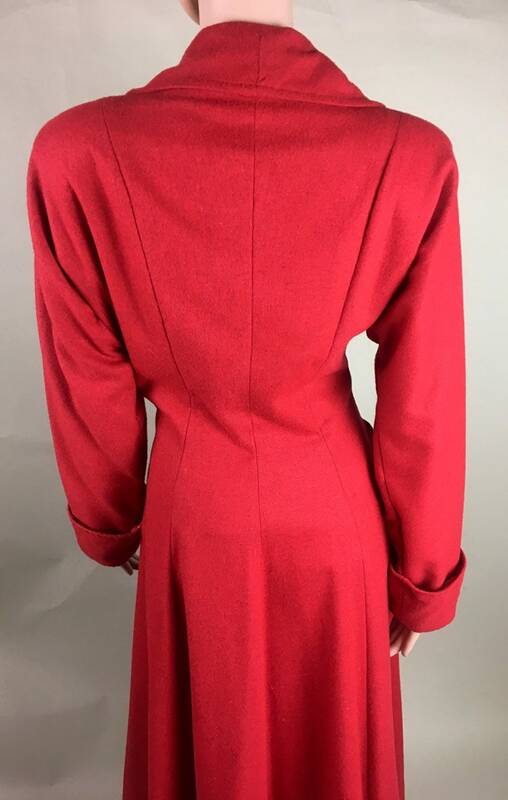 The front has two full length seams in the front and three in the back. 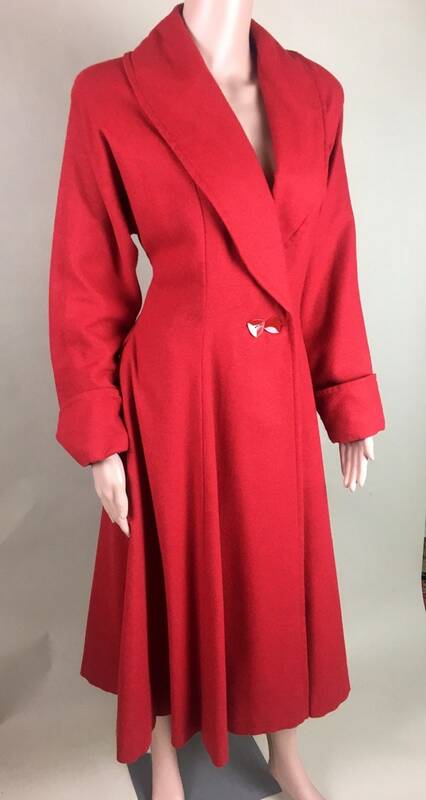 The coat has a fitted waist and there has built in shoulder pads. 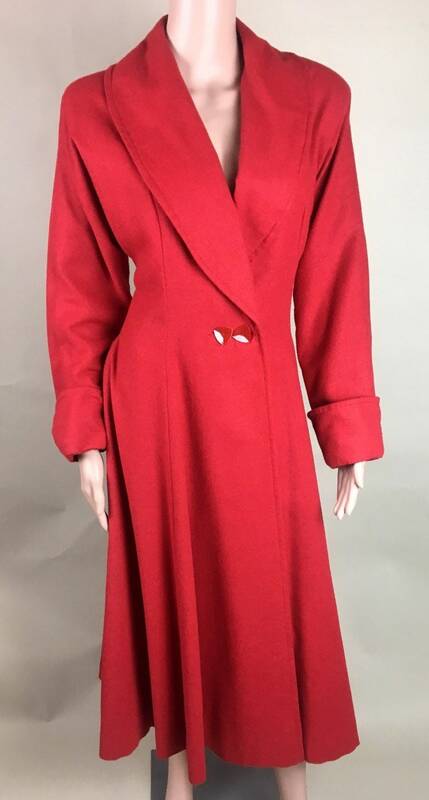 CONDITION: I see absolutely nothing wrong with this coat. There are no holes, tears, stains, fading or smells. I am rating this as being in EXCELLENT CONDITION!